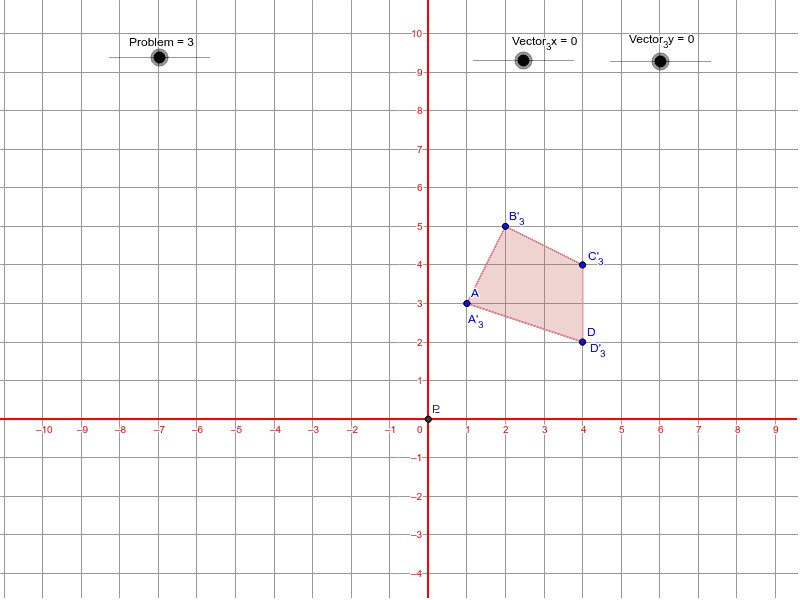 a) Translate the polygon so that point A is at the origin (0,0). How far did the polygon move from its original position? How would you write this change in position so that someone could reproduce it without a picture? b) Translate the polygon so that point A is at the point (1,3). How far did the polygon move from the last position? How would you write this change in position so that someone could reproduce it without a picture? Check your answers, then go on to Exploring Translations 4.